Item Description Manuscript, in Gavin Greig's hand, of the first tune on page 158 in Skinner's Harp and Claymore Collection. 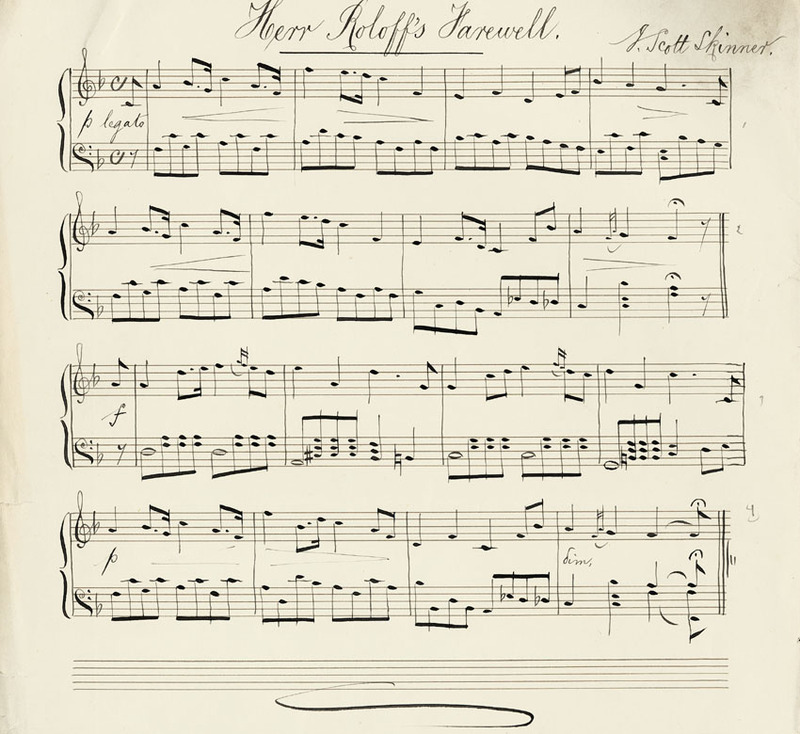 Greig has preserved the quaver movement idea that Roloff used in his own arrangement of the tune, but has simplified it. This is the final draft, the copy used by the printers when they set the music for publication. Afterwards, the publishers returned the draft copy to Greig.